It is the company’s first ever well drilled in Arctic waters. And results confirm a major resource potential. «The opening of this new field is an important starting point for one of our future Arctic LNG projects», says company CEO Leonid Mikhelson. «The resources of the Severo-Obskoye field are unique,» he underlines. The field is located in the mouth of the Ob Gulf, about 125 km from the new Arctic port of Sabetta. It will serve as resource base for the projected Arctic LNG 3, Novatek’s third natural gas project in and around the resource-rich Yamal Peninsula. «The favorable geographical location, the huge resource base and our compiled experiences allow us to speak about great preconditions for the successful development of a new LNG project,» Mikhelson says. It was jackup rig «Amazon» that did the exploration drilling. 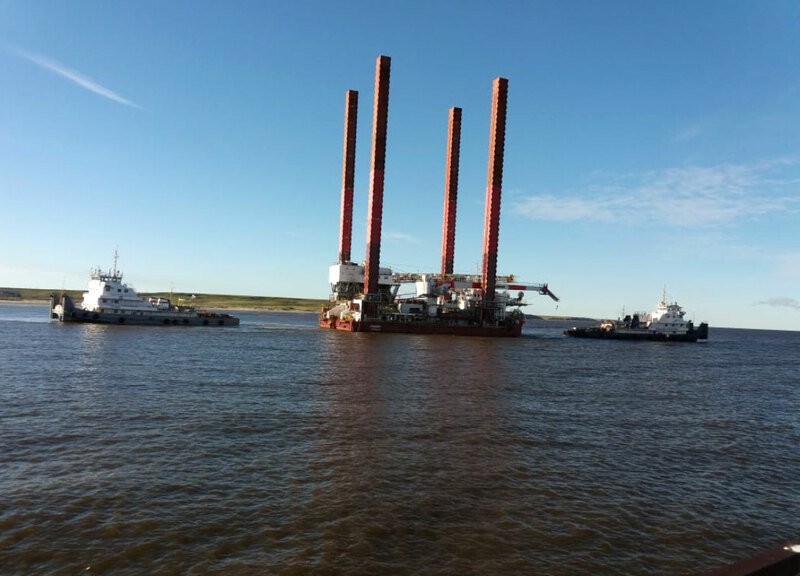 The 36 years old installation that is owned by Gazprom Flot, was in late July this year towed from Murmansk to the drill site in the Ob Bay. Water depths in the area are only about 12 meters and the distance to the Yamal coast 22 km. Novatek is full steam developing natural gas resources in the region. Production at the Yamal LNG started in December 2017 and a project train two was launched in August. That will enable Novatek to boost LNG output 11 million tons per year. By late September, production had reached five million tons. The Arctic LNG 2 is to be developed on the Gydan Peninsula, on the eastern banks of the Ob. Like with the Arctic LNG 3, the project will be developed based on a floating gravitation-type production platforms built at the Kola Yard outside Murmansk. The resource base for the Arctic LNG 2 is the Utrennoye field, a deposit that holds an estimated 1,5 trillion cubic meters of natural gas and 65 million tons of liquid hydrocarbons. Exploration drilling earlier this year revealed another two prospective deposits with about 405 billion cubic meters of natural gas, the company informed.